It’s Agatha Christie meets Malory Towers – and every bit as great as that sounds. 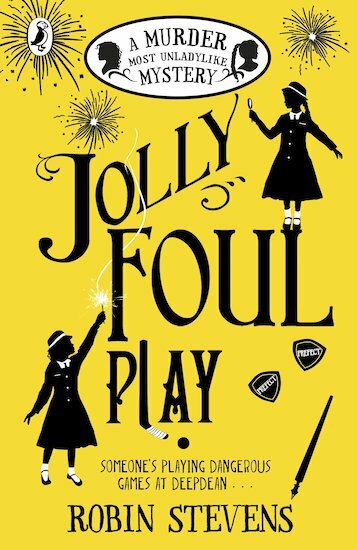 Picnics, hi-jinks and jolly evil crimes. OK: lots of us aren’t too thrilled about a new term at school. But this year, Daisy Wells and Hazel Wong feel almost like shrimps again. There’s a new Head Girl, Elizabeth Hurst, and a nasty new team of bullying prefects. These mean girls could make a giant feel small. Still, it’s a shock when Elizabeth is found murdered after the Bonfire Night fireworks show. She wasn’t exactly Miss Popularity – but who would actually kill her? And why?